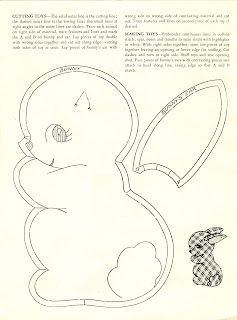 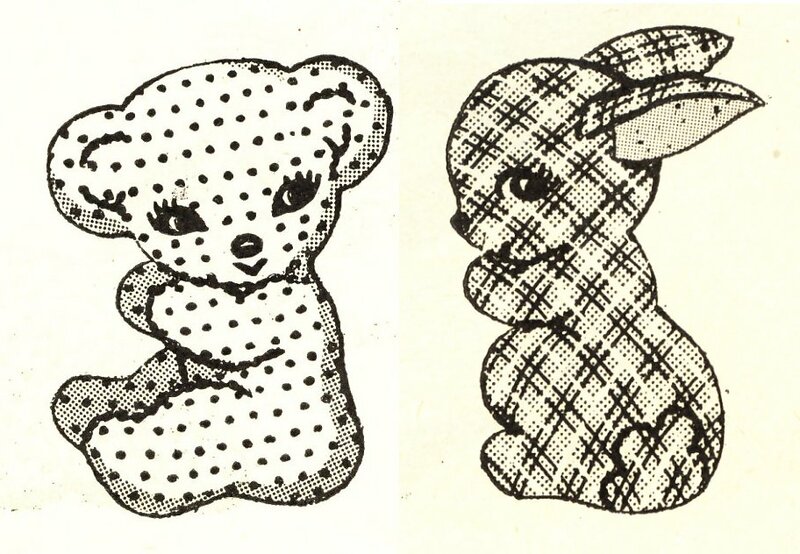 These sweet animals are from a Laura Wheeler Designs catalog from the 1950s. They have very simple pancake construction with embroidered details. 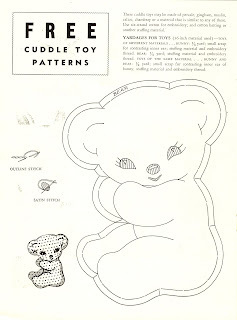 Click on the images below to bring up a full size version, then right click to save to your computer.